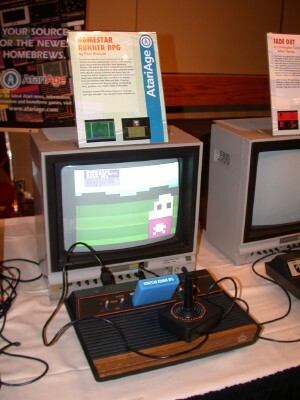 We attended the 2004 Oklahoma Gaming Expo, which was twice the size of the 2003 show and attracted more attendees and vendors. 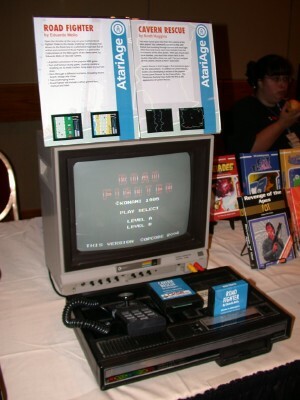 Great fun was had by all, and we brought several new games to the show as well as demos of several games in development for the Atari 2600, 5200, and ColecoVision. Posted here is a gallery of over 100 photos we took at the event, captioned so you can see what you missed if you weren't able to attend. We had a blast at this year's show and we look forward to the 2005 event! 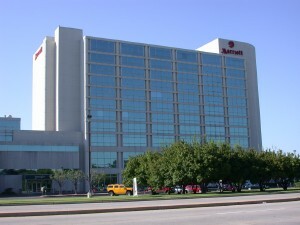 The 2004 Oklahoma Gaming Expo was held at the Marriott Tulsa Southern Hills, pictured here on a beautiful Sunday morning after the show. 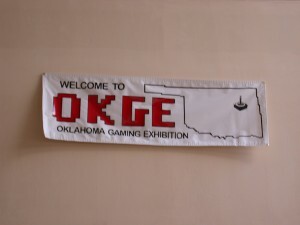 The OKGE banner hanging outside the ballroom. 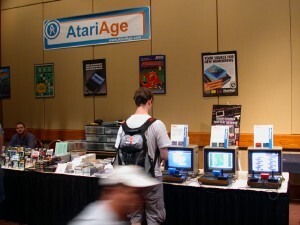 The AtariAge booth was setup right near the front entrance. 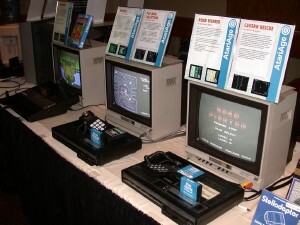 The first thing people saw when walking in were these systems demoing new and in-development homebrew games in one corner of our booth. 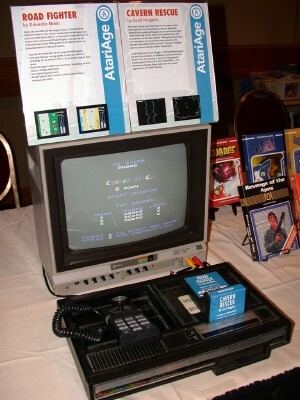 In total we had six Atari 2600 systems, two Atari 5200 systems, and two ColecoVision systems setup for people to play. 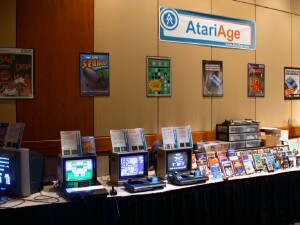 The other side of our booth, where an additional four Atari 2600 systems were setup. 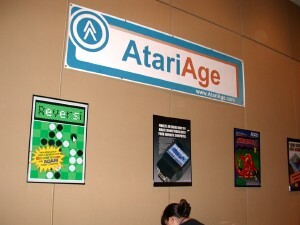 The AtariAge banner and some framed posters hanging on the wall underneath it. 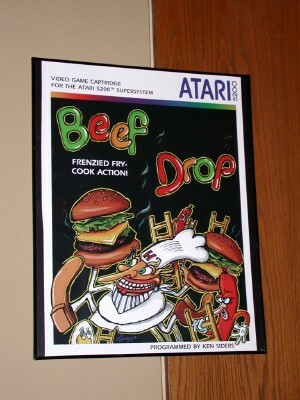 A poster of Beef Drop by Ken Siders for the Atari 5200, which was introduced at OKGE. 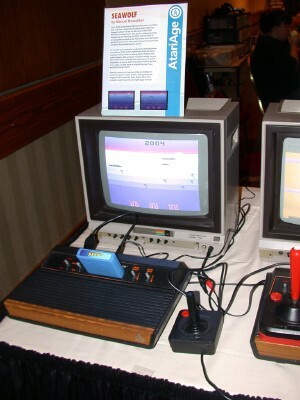 This artwork was created by Henry Lee in the Beef Drop Label Contest held previously on AtariAge. 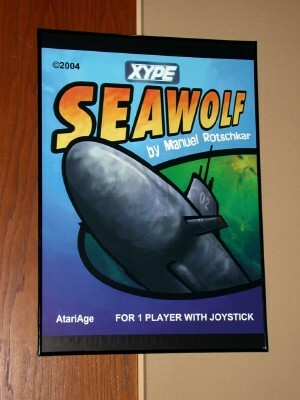 A poster for the new Atari 2600 game Seawolf by Manuel Rotschkar. This beautiful artwork was created by Dave Exton. 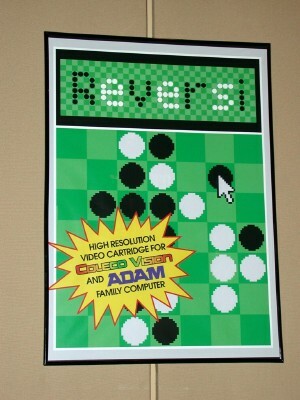 Reversi by Daniel Bienvenu for the ColecoVision was introduced at OKGE, and we had a poster of the box artwork hanging on the wall. Starting on the left, Seawolf, Fall Down, and Beef Drop. 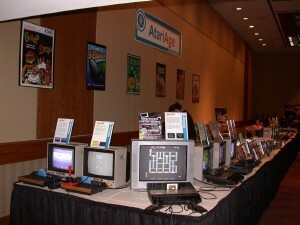 A row of Atari 2600 homebrew demos, Incoming!, Reflex, Homestar Runner RPG, and Fade Out. 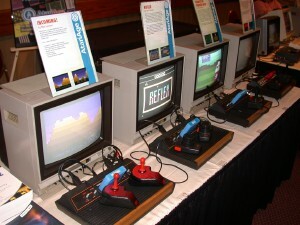 Adventure II on the left, Pac-Man Collection, and Road Fighter. 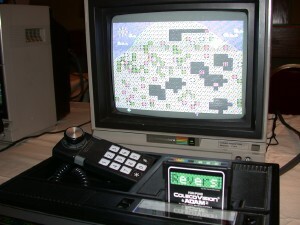 Scott Huggins' new ColecoVision game Cavern Rescue. 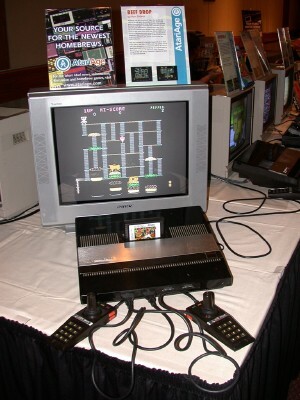 Road Fighter for the ColecoVision by Eduardo Mello. 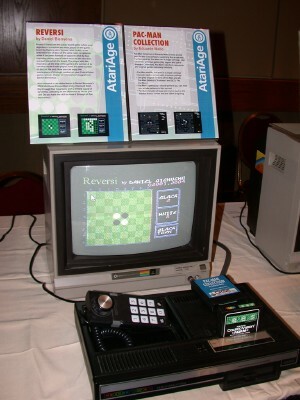 Reversi for the ColecoVision by Daniel Bienvenu. Diamond Dash, which is a bonus game included with Reversi, by Daniel Bienvenu. Diamond Dash is Daniel's entry in the 2004 Minigame Competition and is quite fun! Eduardo Mello's Pac-Man Collection for the ColecoVision. 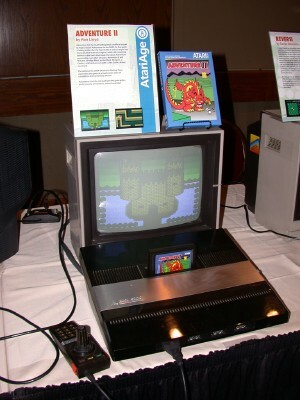 A new demo of Adventure II by Ron Lloyd was on-hand for the show. 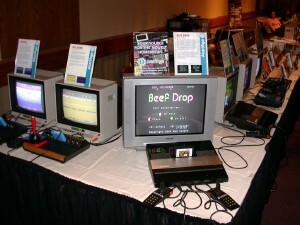 Beef Drop for the Atari 5200 by Ken Siders was very popular all day long. 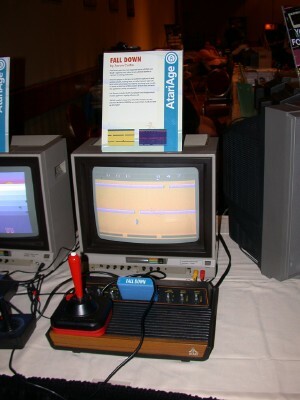 Fall Down, a new Atari 2600 game by Aaron Curtis, saw a lot of play during the show. 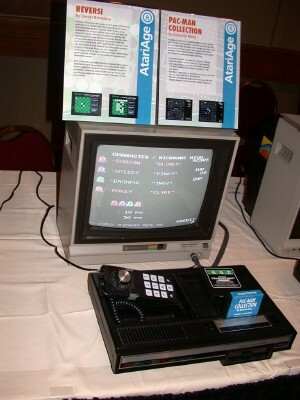 Manuel Rotschkar's Seawolf for the Atari 2600 saw its debut at OKGE. Incoming! 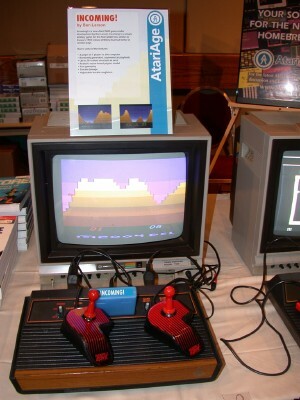 by Ben Larson for the Atari 2600. Fans of Scorched Earth will love this game! 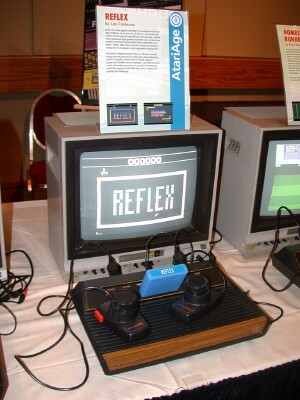 Reflex by Lee Fastenau for the Atari 2600, an interesting take on Breakout-style games. Homestar Runner RPG for the 2600, being developed by Paul Slocum.